Build innovative solutions for Smarter Cities! Smart Cities Hackathon 3.0 is a space where developers, entrepreneurs, designers, professors, researchers and people interested on making of their city a better place, can gather and together, in a collaboratively fashion, build solutions that will make our city a more efficient and intelligent place to live. This Hackathon will take place on June 15-17. It is a completely free event in which anyone interested in developing solutions for our cities is welcomed! The Smart Cities Hackathon 3.0 edition will be a bi-cultural experience since we will be receiving students from the University of Texas at El Paso, who will be participating in the event, as well having an international exposure. All participating teams will have the chance to present their projects in a rocket pitch fashion to the judges, who will decide the winners for each category. Hurry up and register your project, since teams with a registered project will have priority! YOU CAN START DEVELOPING YOUR SOLUTION NOW!! The objective of Smart Cities Hackathon 3.0 is to encourage participants into building innovative solutions for a Smarter City through a rapid pace development. 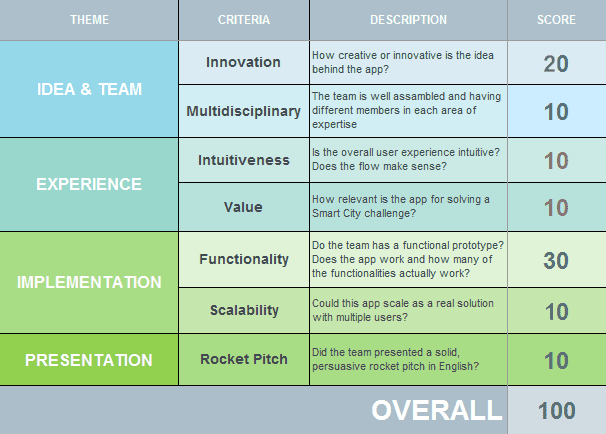 Therefore, an innovative solution with a functional prototype related to one of the challenges below is expected. Develop an application that uses sensors to create datasets in order to reduce costs, make more efficient processes or enhance building's features. Projects that address this challenge MUST use IBM Watson IoT Platform or IBM Bluemix's Internet of Things API to develop their solutions, otherwise projects will not be eligible as potential winners. Develop an original mobile/web application that solves mobility issues, such as parking, traffic jams, car reduction, reduction of vechicle's emissions, etc. Develop a web/mobile application that addresses a Health Challenge that elder people face. The VoIP emergency button that everybody wants to have: an effective and user-friendly app to contact emergency services (066 / 911) with features that promote wide public adoption. DOWNLOAD THALES information and instructions for the Smart Security Challenge!! 5. Smart Cities App Store Repository --- 2 Intel Galileo boards + 6 months incubation! Develop a platform that enables citizens to download and use Smart Cities Applications to benefit their daily life. 6. People's Choice Award --- $250 USD in prizes + 2 Intel Galileo boards + 6 months incubation! All challenges also participate for a prize for the best implementation of IBM bluemix. Join us at the hackathon by registering in the link above! 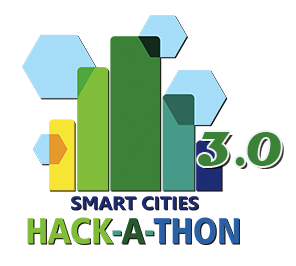 Remember you MUST upload/join a project in order to participate in Smart Cities Hackathon 3.0. HOW CAN YOU UPLOAD A NEW PROJECT OR JOIN AN EXISTING ONE?